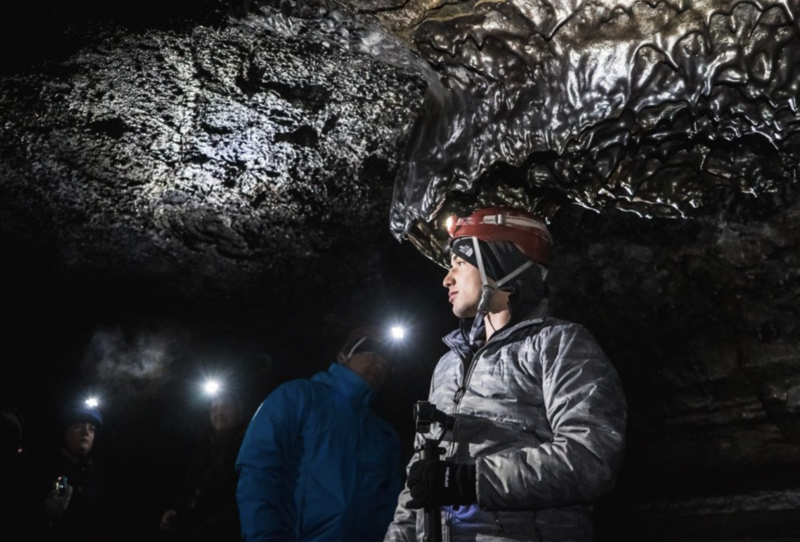 Caving and Northern Lights – this afternoon and evening combo tour by minibus blends two really popular tours, a caving tour exploring the incredible lava formations of the Leiðarendi Cave, and a northern lights tour hunting for the mystical radiant colors of the aurora borealis. The very best of earth and sky! Your guide will also take free photographs of you so you can keep the memory alive! You are driven to the Leiðarendi Cave about 25 minutes from Reykjavík. Walking for a couple of minutes will bring you to the cave entrance. 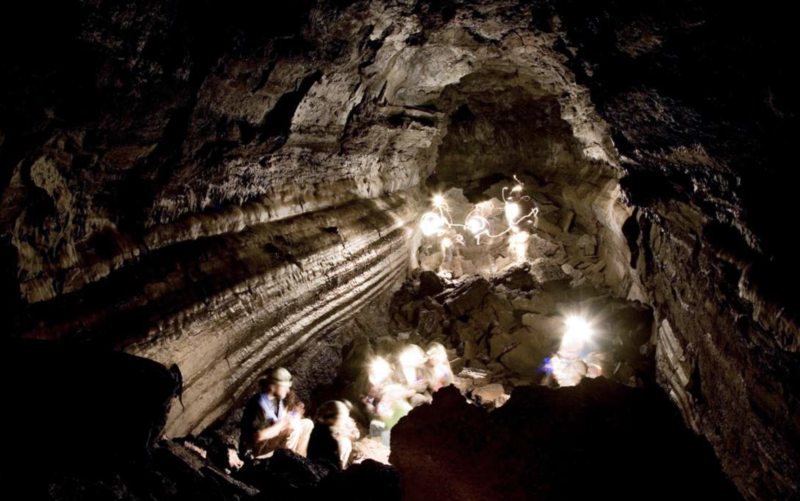 You are issued with helmets and torchlights for your lava caving adventure. Get ready to be entranced by an amazing subterranean world! The lava formations are mindblowing, a few of them greatly resemble figurines, yet they are all crafted by the hand of nature. Leiðarendi cave has stunning colors, even glowing shades of bright red, you never know what you will see next! You will see incredible stalactites and stalagmites, your guide will tell you all about the cave. The Leiðarendi lava tube was first mapped in 1992, it is about 900 meters long, from the small entrance it runs in two directions. These lava tubes formed when hot lava flowed beneath lava which was already petrifying. In most areas it is possible to stand, there are a few places where walls or ceilings have collapsed, in these parts you will need to travel a little on all fours. You spend around an hour in the cave. 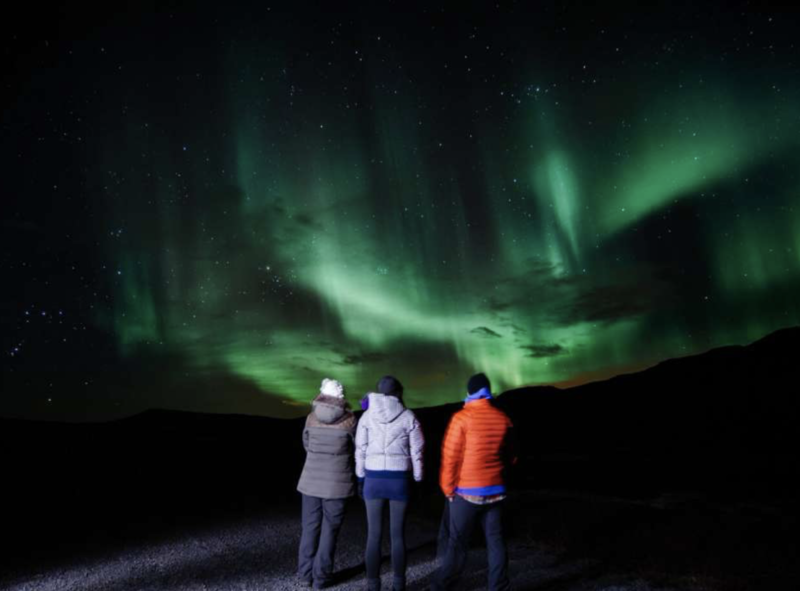 You are driven back to Reykjavík and dropped off between 16:00 and 16:30 at your original pick-up location giving you time to have a nice dinner in the city center before we pick you up in front of your hotel for your magical Northern Lights hunt at 21:30 pm. Please note that food and beverages are not included. 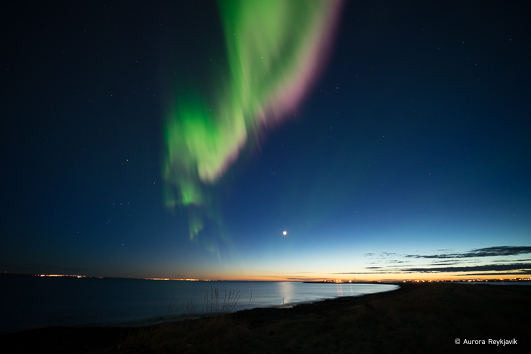 We follow the state of the art aurora forecast and head off to the places which give the best chance of seeing the brilliant colors of the northern lights dancing. Our quest can take us out into the countryside in any direction, away from the city lights. Hvalfjörður, Þingvellir, Reykjanes and other places are all possibilities. The moment when you spot their shimmering, brilliant colors rippling across the star-studded black velvet sky is literally breathtaking! 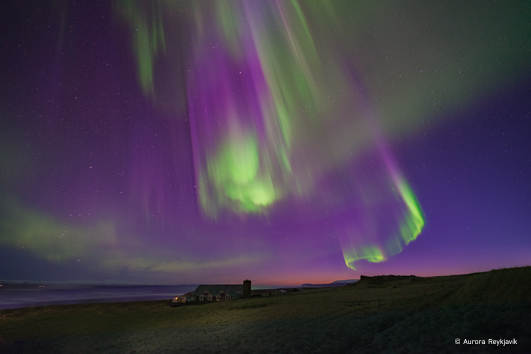 Green, yellow, white and sometimes purple and blue auroras are usually seen. Violet, and rose northern lights happen less often. Really red auroras, from rose to stronger reds, are more common in Iceland than anywhere else in the world, although they are still quite rare. We can never promise that you will see the northern lights but we always do our very best. The tour returns to Reykjavík around midnight, you are dropped off at or very near your hotel. Pick up is at 12:00 pm from your hotel or a nearby meeting point in Reykjavík. Picking everyone up can take up to 30 minutes, your patience is much appreciated. What to bring: Warm layers, waterproof top layer, headwear, gloves, scarves and hiking or sturdy shoes. If you have them, spikes which fit on your boots are useful in icy conditions. 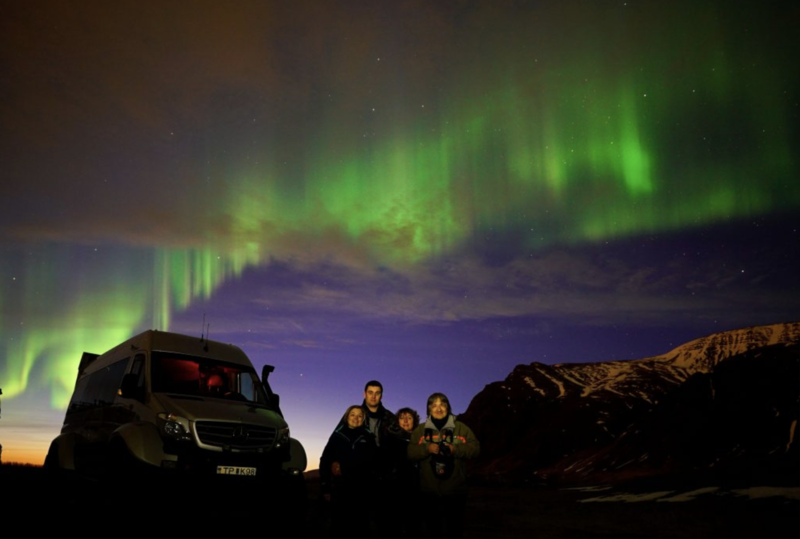 The 1:12 ratio applies to caving – the northern lights minibus tour may have more people. Participants need to be able to walk on uneven ground and travel on all fours a little in the cave. This is a combination of two tours – you are dropped back to your pick up point between 16:00 and 16:30. You are then picked up for your evening tour at 21:30, giving you time to have dinner between the tour two tours. Food and beverages are not included on this tour.